“I wish David Vitter were a Democrat. I wish he were a liberal Democrat. I wish he were Russ Feingold, because then I would defend him every bit as zealously as I am defending not what David Vitter did, but his right to be unbothered by the rest of us for something that’s none of our business.” —Daily Caller founder Tucker Carlson, in 2007, on Louisiana senator David Vitter’s prostitution scandal. 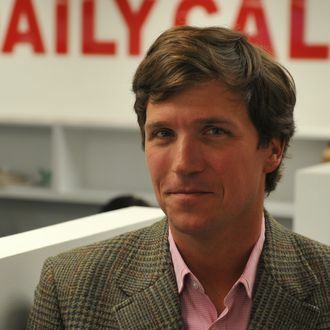 Carlson is now in the midst of a crusade to take down liberal Democratic senator Robert Menendez for allegedly soliciting prostitutes in the Dominican Republic.